Power of Snunner won the Obeah at Delaware Park. Photo by Kathleen O’Leary. James Courtney’s Power of Snunner will be seeking a repeat victory when she faces 11 rivals in the $100,000 Obeah Stakes at Delaware Park this Saturday. 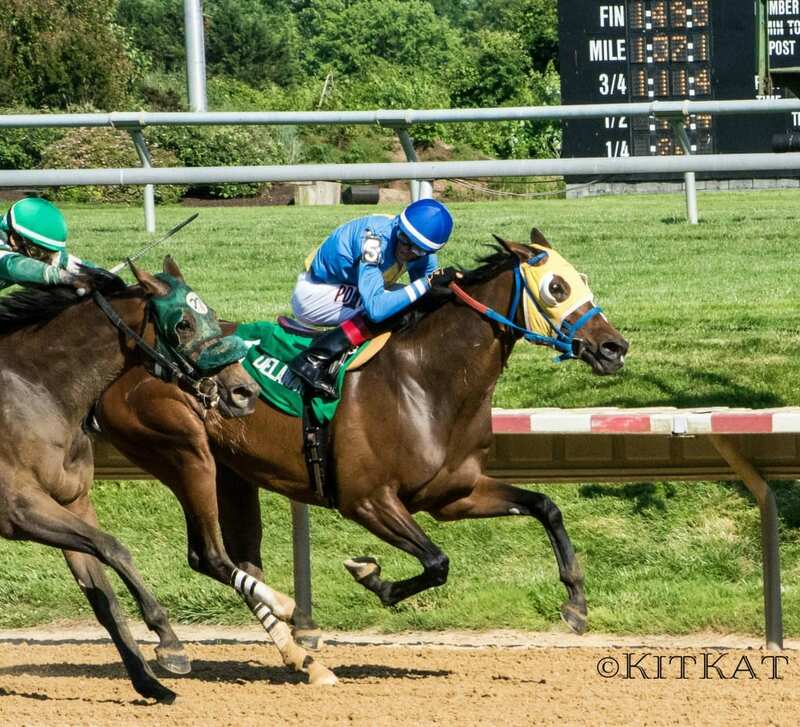 The mile-and-an-eighth affair is the local prep for the filly and summer classic – the mile-and-a-quarter $750,000 Grade II Delaware Handicap on Saturday, July 14. Last year, Power of Snunner posted a neck victory in the Obeah Stakes. Since then, the 8-year-old daughter of Power by Far has made seven starts with victories in a pair of Pennsylvania-bred restricted races at Parx. On October 7, the Timothy Kreiser trainee won the mile-and-a-sixteenth $100,000 Plum Pretty Stakes, and on April 28, she won the seven-furlong $100,000 Foxy JG. In her most recent outing, she finished sixth in the mile-and-an-eighth $150,000, Grade III Allaire DuPont Distaff at Pimlico on May 18. She has a career record of 10 wins, 16 seconds and three thirds from 36 starts, with earnings of $637,810. The filly to beat is Dorothy Alexander Matz’s Tequilita. The 4-year-old daughter of Union Rags has a career record of four wins, three seconds and two thirds from 13 starts, with earnings of $561,840. In her most recent, the Kentucky-bred trained by Michael Matz finished third in the one-mile, $250,000, Grade II Ruffian at Belmont Park on May 6. In her only other outing this year, she ran seventh in the seven-furlong, $300,000 Grade I Madison Stakes at Keeneland on April 7. Last year, she won the seven-furlong, $200,000 Grade II Forward Gal Stakes at Gulfstream Park and the seven-furlong $300,000, Grade III Charles Town Oaks. Tequilita, a homebred for the Matzes, has two wins in graded company and three other placings.